Outline the Archive of Feelings: Where does a community deposit their feelings? What kinds of texts are there and how do you find them? There are many places to archive feelings, it may sound weird because a feeling is not generally something that is recordable. A big depository of feelings is music. Music has three parts, lyrics written, sang, and performed. Each of the three parts are able to hold large amounts of feelings. Many people like a song because of the “feeling” they get when they listen to it. Sometimes, you can hear the passion of the guitarist as they play a solo or you can hear the trembling in the voice of the singer or maybe the tears in the song of an orchestra music. Part of being a good singer or a good musician is being good at connecting yourself and your emotions to the music and especially the lyrics. Music is recorded and even though it is mostly digital now-a-days, with our phones and iTunes and Spotify, it is still an archive. Music and the technology used to hold it archives feelings, era changes, and technological advancement. (for example, walkmans, cd-players, mp3 players, the first iPod, iPod shuffles, iPhones, etc.). Another type of feeling archive is the internet. People in online communities use the internet to connect with people who have similar tastes. Websites like Tumblr are very ’emotional’ websites. The Tumblr community is very close knit and many people are able to get mental help there. Users are able to type posts, post pictures, videos, ask other users questions, etc. Tumblr has also been a place of suicidal teens to get help from someone who is not a therapist and for people to share heart wrenching stories and uplifting stories. Though it may sound weird that many people have confided their inner feelings to a community where you cannot physically be with a person, many people feel very connected and are very fond of their followers because they all support each other. On the other hand, Tumblr also holds arguments and discussions about ignorant people, feminists, current events, and people’s reactions to these events. Though Tumblr may sound like a scary place, there are also tons of gifs of cats, spongebob, and tv show quotes to be discovered. Tumblr works as an archive by archiving our mental timeline on a single blog. Just like Tumblr, Facebook works as an archive as well. Nothing conveys more feeling, besides feelings themselves, than a picture. We have actually talked a lot in class about Facebook so I will not repeat information but essentially, Facebook can be a timeline of photo events, recorded events, and posts. The written word can also hold many many feelings. Social media sites like Tumblr and Facebook are intended for typed posts and pictures – which allows us to be able to record import events that happen. I think it would be interesting to see the Facebook posts of past presidents or posts during wars like world war 1 or 2. If we had internet back then we would be able to archive our feelings and be able to see how the mind progresses over the years and how things have changed and that’s pretty cool! Social media can be understood as a medium. A medium is a system that engages our senses. From the information gathered from it, our emotions and feelings can be developed. According to Merriam Webster, social media is a form of electronic communication (as Web sites for social networking and microblogging) through which users create online communities to share information, ideas, personal messages, and other content (Merriam Webster). Because social media is able to transmit information by sharing ideas, emotions, and sentiments through content and message in online communities it is understood as a medium. The beginning of social media started with BBS (Bulletin Board System). A BBS is an online board where users can share files and games. Before wireless connection, users had to use telephone lines to connect to a BBS. BBS and CompuServe (the first commercial online service) aren’t exactly what we think of when we think of social media. AOL (America Online) is similar to current social media. AOL, similar to current social media, had users create a “Member Profile” in which it would list details about the users. Social media started to grow with sites such as Classmate.com and SixDegrees.com. Sites like that allowed users to connect with other users such as classmates and the start of making groups and creating online profiles (Digital Trends). By 2002, social media sites such as Friendster (similar to SixDegrees) created communities by having a concept of “Circle of Friends” that let users with common bonds to connect. Because the success of Friendster only lasted for a little especially in countries such as Indonesia and the Philippines, Friendster decided to abandon social networking and become only an online gaming site. In 2003, LinkedIn and Myspace were launched. Although both social media were very different, both became very successful. LinkedIn was a more professional social networking site that enable professionals to connect and network with other professionals. LinkedIn is also known as a professional social media. It is one of the largest and most well-known professional social network that started in the USA. It is used to connect and expand professional networks by showing skills, career information, and academic background. LinkedIn can help users explore opportunities, network, and look for careers. On the other hand, Myspace started as a popular social media in which users could customize their page, add pictures, profile, friends, music, and etc. Myspace was popular among celebrities and musicians as they shared their music and projects on it. Myspace was created by people in the entertainment industry and not by technology gurus. Because of that, it couldn’t make advances and changes as fast as Facebook. That caused the failure of Myspace and allowed for the popularity of Facebook to increase. Facebook started as a college site by Mark Zuckerberg. Facebook was only for Harvard students but slowly expanded into other colleges and finally becoming open to the public. Facebook was similar to Myspace. Users could post pictures, videos, notes, and etc. The main difference was that when Facebook came into the social media world, it didn’t have many competitors. It only had Myspace and also it was exclusive to college students. With Facebook already becoming so popular, other social media such as YouTube, Twitter, and Pinterest started to become part of people’s daily life. Every different social medium offered something different to the users. Video bloggers, musicians, and actors would use YouTube to show trailers of movies, songs, tutorials, and etc. Photographers and artists would show their work through Instagram. Businesses try to use most social media such as Facebook, Twitter, Instagram, and etc. They would keep their social media updated by posting something about a new product or promotion. Celebrities would incorporate all social media to become more well-known in the industry. They would tweet new projects, their opinion, post trailers of their movies on YouTube, post pictures on Instagram. YouTube is a video sharing website that was created in 2005 by three PayPal employees. YouTube allows users to upload, view, and share videos. The content on YouTube includes video clips, TV clips, movie trailers, video blogging, music videos, and etc. The idea behind YouTube came from Janet Jackson’s incident in the 2004 Super Bowl and the 2004 Indian Ocean tsunami. The three PayPal employees wanted to create a social media in which people could share videos of topics being talked about. YouTube success wouldn’t have happened if it was limited to the United States. Being a social medium, YouTube could reach other countries. Currently YouTube is located in 53 countries with 61 languages. About 70% of the traffic comes from outside of the United States. YouTube was able to change the way many different things work. It has changed education and knowledge by having videos of tutorials of “how-to” and with Khan’s Academy’s channel. Tutorials and educational channels have allow users to learn something new or get help on homework and projects. It has sparked innovation and creativity in users by creating new products and new projects and sharing them on YouTube. It created awareness on social issues such as Ice Bucket Challenge and Kony 2012. The Ice Bucket Challenge was a challenge in which people would raise awareness for ALS. Kony 2012 was a movement to capture Joseph Kony. There aren’t solid ideas of the future of YouTube. Some social media are able to succeed but some aren’t. Although YouTube is very successful right now, that can change with the creation of a better and newer social medium that can replace YouTube. As of now, with the help of other technology and website such as Netflix, Hulu Plus, Smart TVs, YouTube can replace the way we watch television. Although televisions might not vanish in the near future, the way we watch TV has changed a lot. 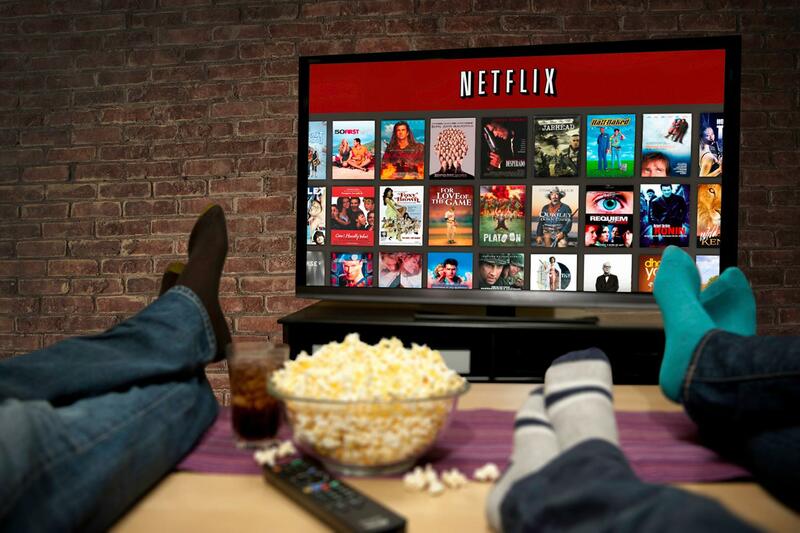 Many have Smart TVs that have YouTube, Netflix, Hulu Plus connected to it. This has decreased the number of households that will get cable to watch television. On the other hand, it can cause problems such as privacy, identity theft, and cyberbullying. How much of ourselves are we willing to put out to the public? Social media makes money by collecting your information and selling it to marketing sites. They customize your ads, to items you have searched or liked in the past. They are able to track what we are doing without being obvious. A new problem caused by social media is cyberbullying. According to Merriam Webster, cyberbullying is the electronic posting of mean-spirited messages about a person often done anonymously. Because of social media, cyberbullying has become a problem because we think that we can criticize and say mean comments online because no one will know who posted it. One can create a fake profile just to cyberbully others. Cyberbullying has become a big problem that has causes some users to commit suicide. Although we use social media to connect with others, in the end is it really for that reason? Do we use social media to our advantage and use it as a way to make communication easier or is it pulling us apart? Turkle mentioned how even though it seems like we use social media to keep each other updated and communicate with each other through social media, we are actually alone. We are alone together. Turkle explains the impacts of social media using different examples of how people use it and change because of it. She says that technology and social media is able to meet our human vulnerabilities because we are alone but at the same time we are fearful of intimacy. Technology such as social media is able to offer the illusion of a friendship and companionship without demands (Turkle, 1). When we are online, we can ignore others because we can pretend we weren’t online or we didn’t see the message. When we are communicating face to face we aren’t able to hide and ignore others. Talking requires an immediate response while texting and using social media does not require an immediate response. Another great point that Turkle mentions is the anxiety from social media. As mentioned earlier, people can lie when they set up their profile on social media. No one is checking so one can easily lie. This causes deception in social media. Social media is there for us to represent ourselves in a simple way but knowing that there is an audience, we tend to feel pressured to conform the simplifications. An example Turkle uses is Brad. He makes sure that through Facebook he is seems as “Mr. Cool”. He would omit different likes such as Harry Potter because it isn’t cool (Turkle, 185). Trying to perfect a social media profile and knowing that colleges and work places search for your social media profile had cause a lot of anxiety in humans. We believe that social media is supposed to be there to make ourselves look better but, we know that there is an audience, we spend a lot of time trying to perfect it and because of it, people are stressed. The online world and social networks makes it seem like we are supposed to share everything on our mind. It doesn’t matter whether those thoughts are ignorant, ill considered, informative, or funny. We should all share our thoughts to broadcast it to the widest possible audience. (Turkle, 276) Sometimes the thought we have can become helpful to spread awareness on certain topics such as the ASL Ice Bucket Challenge. People would share videos of having ice buckets dump on them to spread awareness to educate and support ALS Association. Because of how popular the challenge was, more than $115 million have been donated to support people with ALS (“The ALS Ice Bucket Challenge”). Another popular event was Kony 2012. Kony 2012 is a short film produced by Invisible Children, Inc to promote and spread education on who Kony was and how he recruited child soldiers. The video was uploaded to YouTube and got a lot of attention. Users would share the video on other social media, tweet about it, and it even got celebrities such as Rihanna and Bill Gates talking about it. The video became viral really fast that within days of the video being posted, it got national and global media attention (Sanders). Social media has not only created a digital self but it is also an archive of feeling. Even though social media is digital, our feelings and emotions are invested into social media. As Cvetkovich says that peoples’ personal lives were deeply entangled with their intellectual lives. (Cvetkovich, 2) Social media has become an archive of feeling for many because people have feelings and emotions towards them. Technology and social media has become a big part of our lives that a study from IDC Research found out that about 80% of smartphone users will check their phone within 15 minutes of waking up. People wake up to check what was posted on social media, check their emails, and etc. (Pinkham). This shows that social media has its advantages and disadvantages and the way we use it to create our digital self can be positive or negative. Some will use it to create a digital timeline, advertise, and communicate while others will use it to hurt others and lie to others by pretending to be someone else. Social media can be good to spread awareness but some people abuse that power and are able to post other things. The future of social media is unknown but with a lot of speculations. YouTube and other video based social media can replace televisions. Other social medias such as Twitter, Facebook, YouTube is already a new form of medium in which news are spread. As print media starts to decrease, digital media will increase. New social media will be created to adjust humans’ lives. Whether one sees social media as a good thing or bad thing. It is here to stay. Some social media might become less popular over time but because we are moving towards a more advanced and more technological world, other social media and technology will be created with the goal of making human life easier. All social media and technology will have its advantages and disadvantages. Some will use to make their lives easier while others might abuse that power and use it to harm others. At the end of the day, will all the technological advances and new social media, it is a medium whether that is used in a good or bad way. Social media was created to become a medium in which engages the senses and information, emotions, and sentiments will be developed and transferred. It requires our senses to work. We use our sight, touch, and hearing to interact with social media. The world is much different than it used to be. Social media has changed many aspects of our lives. Communication possibilities have changed drastically. Take a look at the biggest social media websites. What do they do for you? How do they connect people? It’s obvious that social media has changed the way people communicate, but how exactly has it done this? Facebook is the largest social media website, and thus, it will be the main point of focus. Facebook was created in 2004 by Mark Zuckerberg, who was a student at Harvard University at the time. He went through many struggles in his creation of Facebook. These struggles included lawsuits, the loss of friends, and many hours of hard work. Mark Zuckerberg is a very intelligent man and he created a legacy for himself through his passion and strive to create something great. These were the components in which Facebook was built upon. Facebook is based in Menlo Park, California and today employs almost 10,000 individuals. It is, without doubt, the largest social media website in the world. Every single day, over 890 million people log on to Facebook, and there are about 1.4 billion people that use the site monthly. 1.2 billion of these users access Facebook through their phones. In addition, there are 300 million photos uploaded to Facebook everyday. Think about these numbers. There are about 7 billion people share this earth, and many of these people lack basic access to such a site. China, the most populated country in the world, has banned Facebook for the majority of its citizens. A company with this type of power has endless opportunities to change communication, and the world as a whole. Facebook’s mission states the desire “to give people the power to share and make the world more open and connected.” At the core, the idea is very simple. People want more ways to connect. Facebook fulfills these desires. Facebook, however, is much more than just a simple communication method. Facebook allows people to accomplish a large variety of tasks. At a basic level, people can communicate instantly. Through status updates and posts, people can see what their friends are doing at all times. Photos and videos also allow people to show others what they’ve been up to. Other things people can do include sharing their interests and other information on their profile page, playing games, and even connecting with celebrities or businesses. One of my favorite features of Facebook is the ease of planning events. People no longer have to call, text and email all their friends for events. With a few clicks, you can invite all of your friends to an event. This is great for things such as weddings, graduations and other parties/events. Look at Facebook in its entirety and you will find endless opportunities for entertainment. Facebook does much more than you may think. Ann Cvektovich’s An Archive of Feelings was an interesting read, for a variety of reasons. The book is about the story of women and their accounts of trauma; seen as an archive. The book is very powerful and resonates with many audiences, not just women that faced the same struggles and conflicts seen in the book. While looking at this “archive of feelings”, one may also look at how different technologies may be seen as an archive. I decided to look at others example of archives, including modern technology along with social media. It seems that a large number of technologies may be considered an archive in this day and age. Many technologies, in their nature, record activity over short and long periods of time, which may be considered an archive to some extent. In definition, an archive could be described as a history of information. Think about all the things or technologies that may fit this definition. Think about the things you use everyday. Look at simple things such as your computer. This is an accumulation of many of the works you have done throughout yours and its life. Going off of this, a phone works in the same way. Your phone has messages, pictures and conversations that have been created over its history, and a portion of your life. An archive I’m interested in speaking about is social media, and Facebook in specific. It’s not hard to see why Facebook is an archive. It is a collection of life events through media. Think about the day that you first got a Facebook, and how much of your life you can review since then. You can hop on Facebook and you have access to years of pictures and conversations. It’s crazy to think about this stuff. Look back and see how much you’ve changed. Some people put photos from their everyday lives on Facebook to be able to access it later in life. Years of people’s lives are captured on Facebook, and they will continue to be captured until Facebook is no longer functioning. In many ways, this is a great thing but it can also be sad to think about. Some people may get on Facebook and look back at pictures just be reminded of tragedies that occurred earlier in life. For example, it may bring memories of deaths in the family, or other moments you wish had gone uncaptured. On the other hand, some people may have had Facebook for half of their lives, and be able to look at pictures from when they were a child and recall how fast they grew up. Facebook is an archive, and as an archive it will evoke many thoughts and emotions. In addition to being an archive, Facebook can be looked at in other ways as well. Alone Together by Sherry Turkle takes an interesting viewpoint that allows us to see social media differently. The book explores the idea that as technology expands, there are more ways to be connected, networked, and stay together. However, while social media may connect us in more ways, we are often physically alone now more than ever. With Facebook, it’s almost as if people don’t even need to leave their home to talk to others, as all of their communication needs are already met. This is true power in technology, and this is where the idea of “alone together” plays in. We no longer need to communicate in person to be satisfied. In many cases, communication has changed to status updates, pictures, and likes. We can now communicate online in various ways for unlimited amounts of time. This is how communication has changed. Social media is highly addictive to a large number of users. Everybody feels the need to be seen, and everybody wants to fit in. Through Facebook, even people that aren’t the most outgoing can have hundreds of friends, and with one post all of these people can be connected to this individual. In some ways, this encourages them to stay at their computer and be sociable online, yet barely talk in real life. This is a tragedy. Another thing that is occurring is people are becoming obsessed with likes. Instagram is a perfect example of this. Many people spend time planning and taking perfect photos just so people online can like it, and therefore they fulfill a need for self-presentation. They want to show the best versions of themselves. This can be good in some ways. However, many of the effects are bad. For example, some of these likes may be from people that they have barely talked to in real life, and this is where a problem plays in. People are gaining positive reactions from others online, which just reinforces people to stay online and in-person interaction is, therefore, often limited. This is exactly how social media has changed people. There is no reason in the foreseeable future why social media would stop growing. Now that these possibilities are out, they will only expand. People will only get more connected online. For this reason, we must think about the fact that the world is changing. People are changing. This means that social media must change with them in order to remain successful. There are many ways that social media has changed, and it will continue to change with the times. Facebook is not just a website people will get on for a few minutes and leave. It’s not just a website that people get on to say hello to their friends. It’s a website where people spend hours straight simply looking at other people’s lives. Privacy is almost non-existent online. The time wasted on social media is one of the greatest outrages in our technological age. Social media will destroy us. It’s an innovational masterpiece, but it is also a social disaster in many ways. People are starting to care more about how they are seen online than they are in real life. We are in a world where people may care more about how many friends they have on Facebook rather than how many people they can truly confide in, have fun with, and with whom they can share meaningful conversations. The expanding of communication can be good, but it starts to get bad when it prevents people from real life experiences. This could be the way of the future, and that is not a future I want to be a part of. We have social media, but ask yourself, do we have a social world? Works Cited: “Facebook Passes 1.23 Billion Monthly Active Users.” TNW Network All Stories RSS. N.p., 29 Jan. 2014. Web. 24 Feb. 2015. <http://thenextweb.com/facebook/2014/01/29/facebook-passes-1-23-billion-monthly-active-users-945-million-mobile-users-757-million-daily-users/&gt;. “Company Info | Facebook Newsroom.” Facebook Newsroom. N.p., n.d. Web. 23 Feb.
Turkle, Sherry. Alone Together: Why We Expect More from Technology and Less from Each Other. New York: Basic Books, 2011. Print. Cvetkovich, Ann. An Archive of Feelings: Trauma, Sexuality, and Lesbian Public Cultures. Durham, NC: Duke UP, 2003. Print. There are few human needs greater than that of the need to stay connected. As humans, we feel the need to stay up to date as to what is happening in the world as a whole and the microcosm of our own world, most notably our friends. We want to know what is going on in their lives and, at the same time, update them as to what is going on in our lives. One way in which this has become incredibly easier, thanks to the invention of the Internet, is Facebook. We all know the story: Mark Zuckerberg created the site as a rudimentary dating site for college kids at Harvard, and it has now transformed into a social phenomenon that has changed how we gain information of the world and our friends exponentially. Says Doug Gross of CNN, “Facebook provides an invaluable resource for fulfilling the basic human need for social connection” (2014). (1). However, how has Facebook changed us; namely, how has it changed how we view ourselves and how we represent ourselves online? Facebook allows us to create a virtual profile, or self-representation of ourselves. These profiles include age, school, workplace, and interests, among other things. Through these few facts about ourselves and the things we post, others are supposed to gain a clear picture of who we are; however, it is difficult to determine the authenticity of these claims. According to Watson (p. 2), ” Although the claim to authenticity promises unmediated access to some “essence” or “truth,” virtual environments only underscore the poststructuralist critique that self-presentation is performative” (2014). (2) People want to believe what others say about themselves, but they can often lie and fabricate part of their identities. Facebook has, in a way, changed who we are as a society, both collectively and individually. Through Facebook and other social media sites, we now self-critique ourselves very harshly. This can stem from seeing others posts and thinking their lives are immensely better than ours, or from others posting hurtful things on our posts or “walls”. Through Facebook, we can easily vent our feelings on a particular subject and hurt others if we want to, all from the safety of behind our computer screens. This has led to people thinking people they can say whatever they want, and there will be no consequences whatsoever. We all want to put our best image forward, and Facebook allows us to do this. We can only highlight the good aspects of our personality and being in general, and are able to hide our negative qualities that would much more easily come out if we were to meet face-to-face with someone. Watson expands on this further, saying, “…however malleable and interchangeable identities are online, they are qualified offline by the complexity of embodied social identities” (2014). (2) This has led to many people being less social in the real world, or being less of a “peoples-person”.